I haven't looked forward to a Friday this much in a long time. Can I get an AMEN that it's finally here and that it's the last day of February?! I'm not sad to see you go, February. At all actually. March always starts out awesome because it's Billy's birthday in the beginning of the month (it's on Monday!) and my favorite holiday out of the year happens in the middle of the month! Bring.it.on. This weekend is all about celebrating Billy's birthday, as it should be. I've given him full pick on ALL the meals that we eat this weekend (oy vey) and I've got some special plans in the works. My goal is to just make this weekend all about him and enjoy every single minute together. You need to know about the Etsy shop Gooseprint. Mags, the owner, draws these amazing illustrations of your family. Basically you send her some pictures, she does her magic, and then sends you a digital file of the illustration so that you can get it printed. Talk about talented! 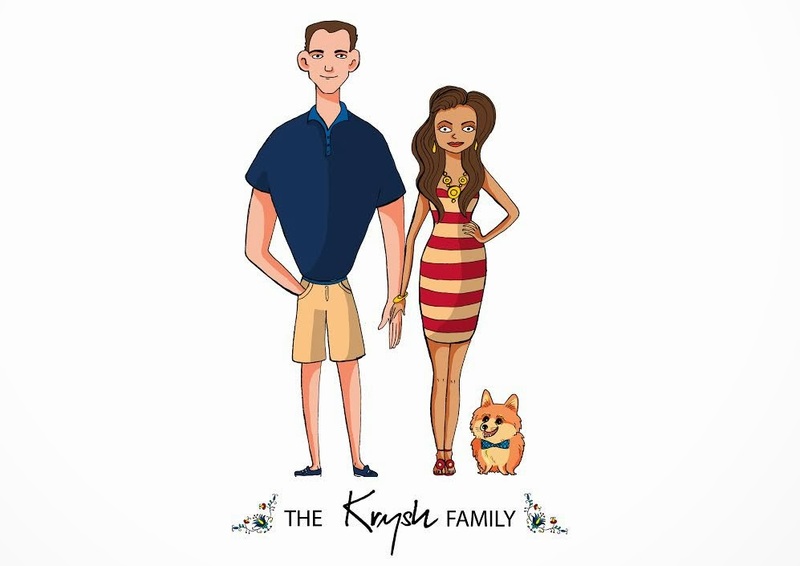 I just can't get over how much I love our illustration...my hand on my hip...striped dress...statement necklace...Billy's hand in his pocket...and don't get me started on the handsomeness that is Rocky. She really got it right and I'm so excited to frame it and put it in our gallery wall. You can get one done of your family for less than $30! 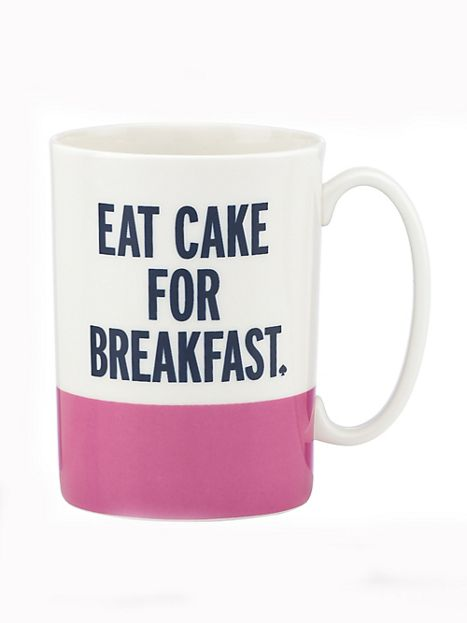 I think every girl needs this mug. 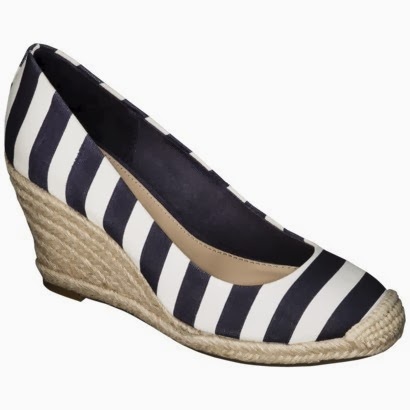 they also have navy striped ones...YES please! Okay, I completely LOVE that illustration! I might have to get one! 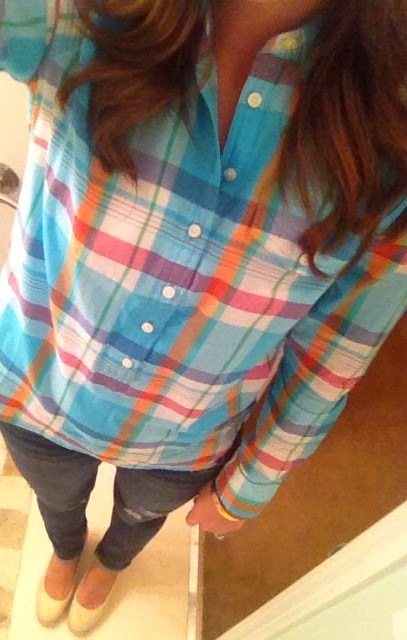 :) Also, I'm dying for this plaid shirt. I don't need it but....ahhh! Are those wedges comfy? I love wedges for teaching (because flats offer no support...and when chasing 10 year olds I day, I need lots of support...in more ways than one!). Love this post! That purse is adorable and I will definitely be ordering a pic! I love your blog! Happy birthday to the hubs, and a big YES on that crossbody bag! It's perfect! 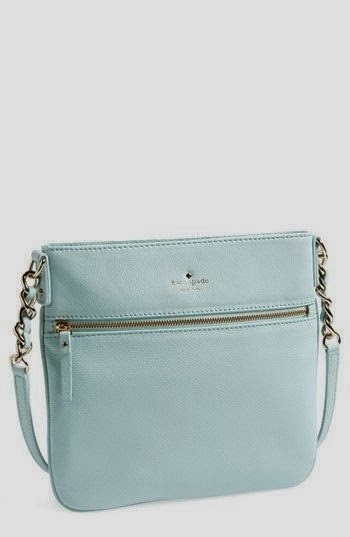 Kate Spade anything is the best! Loving that print of y'all so much. Have a great weekend! Love the illustration - very spot on!!! 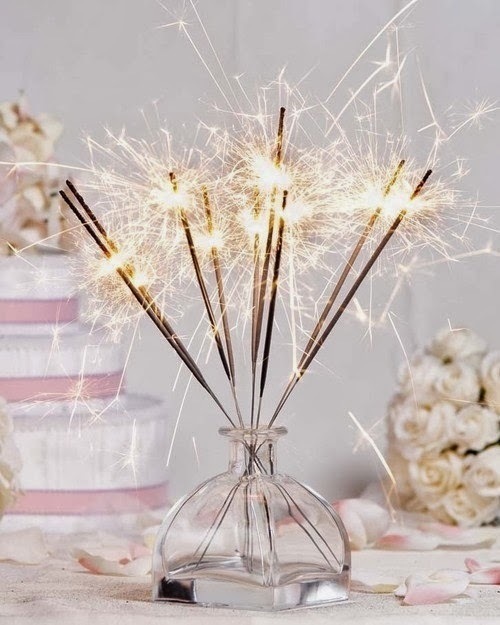 Hope you guys have a perfect weekend celebrating! Love me a good JCrew popover and I agree with the cross body craving right now..I am ready to put up the 'ole tote for the season. With how hot it gets the last thing I need is to lug a huge purse around in the Summer. Cute illustration too btdubs ;) Happy Friday pretty girl! I LOVE LOVE LOVE that flannel! So cute!! How does that flannel run size wise? I like mine to be fitted, but not to fitted so that I can't lift my arms up and have my shirt come up or criss cross my arms and feel like I am going to Hulk out of it lol Did you get a Small or XS? I wish I had time to go and try it on! Now I really want to get a drawing of my little family... So cute! So excited to have a print made of us, thanks for sharing! !